A municipality in the province of Gorizia, located near the main regional city and the Isonzo, in the eastern plains of Friuli. It is a small town voted mainly to agricultural activities, known and appreciated for its traditional culinary specialties and wines, the beauty of ' environment, the history and culture and finally to its mild climate. Here it is possible to enjoy memorable walks through the green countryside of Friuli. The center has very ancient origins: the discovery of relics of the II millennium B.C., demonstrate the existence of a settlement area dating back to the Prehistoric Ages. The first document attesting the presence of a settlement dates back to 1083, probably built here due to its strategic location, a crossroad of important routes. During the First World War, the town was directly involved in the clashes between the warring parties due to its location near to the river Carso. It suffered extensive damage and a large part of population was deported near Vienna. The link with Austria remained very firm even after the war. For this reason, not all the inhabitants of San Lorenzo appreciated the inclusion of their lands into the Italian State. 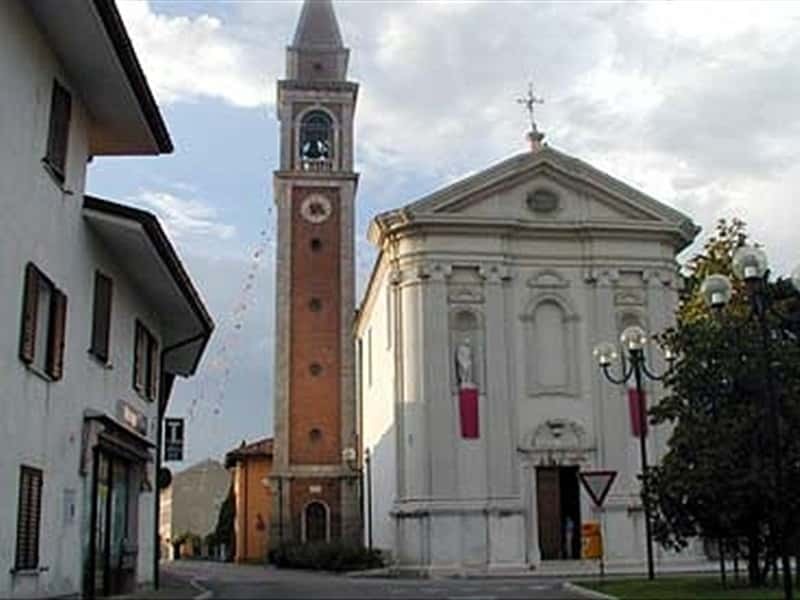 The municipality was established in 1955 with the separation of this town from the nearby Capriva. - the Park of the Red Ponds. This town web page has been visited 25,333 times.